On 2nd February 2006, Anita Moorjani experienced what most of us never have! She crossed over and came back to share what she learned. Doctors at the hospital had given Anita just hours to live when she arrived at the hospital that morning, unable to move as a result of the cancer that had ravaged her body for over three years. Anita shares her experience of entering another dimension and being given a choice of whether to return to life or not. She experienced great clarity and understanding of her life and purpose here on earth. 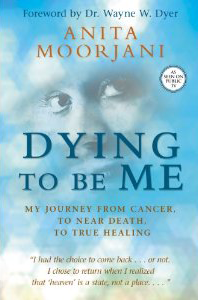 Join Virtual Vision FM for a SPECIAL PRESENTATION with Anita Moorjani, author of Dying To Be Me.